I do not need a day designated to honor and celebrate mother hood. I make it a priority to always Love, Respect, acknowledge, and care for my mother for so many reasons. I have immense respect for all mothers and women in general because you all are unique in the sense that you all can be mothers you all have the privilege of bringing life to the world. Some of you have to bring life to the world and guide that life all on your own, so much Respect to all mothers every single day. Gave my wonderful Mother this perfume. I have to share a funny story about this, so a friend of mine asked me, So what are you getting your mom for mothers day? 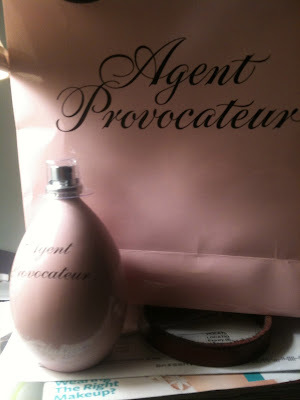 I respond- I am going to Agent Provocateur today to get it. Reaction- Ewww! your shopping there for your mom thats disturbing. LOL!!!! I had to make it clear that I was getting my mom Perfume not french Lingerie.